Aumkaara is an amazing collection of religious & auspicious symbols and deities carefully crafted in silver and gold with certified diamonds from Jewelslane. This religious Om bracelet for men and women is crafted magnificently in 92.5 Silver with a single diamond on the ethereal symbol of Om. Om is considered as the sacred mantra in various religious groups around the world. It symbolizes the core of this creation. This om bracelet is best for the people who practice Yoga and Meditation. It brings inner peace to the soul and gives relaxation. 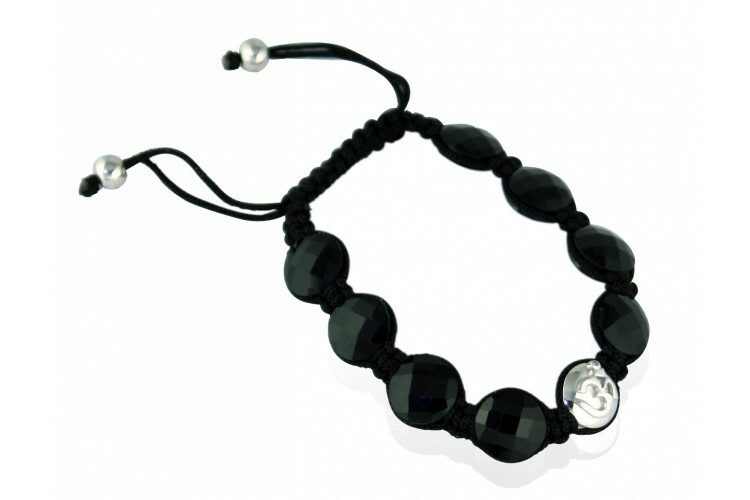 The flat onyx beads add a perfect glaze and appearance to the bracelet. Present this Om bracelet as a token of love to your dear friends and family members. Or add it to your mystic collection of religious jewellery.